Ready for your next getaway? 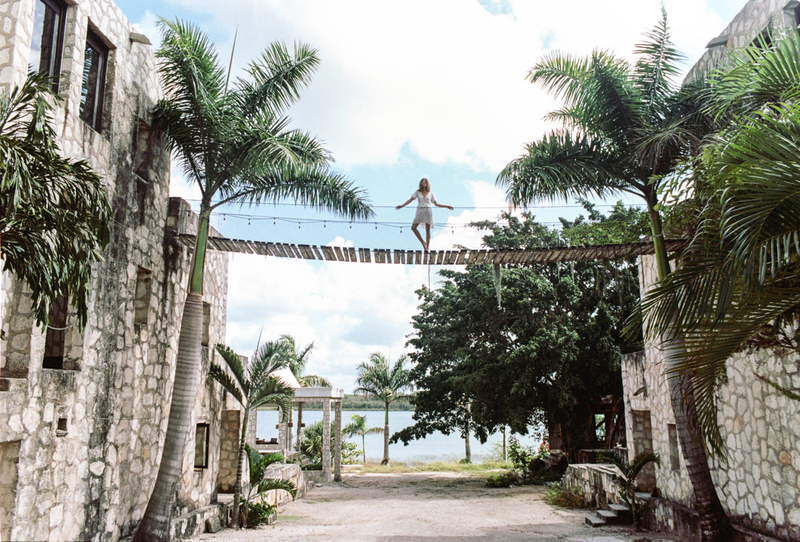 Join our rock muse on her latest journey to the Caribbean coastline. The Mayan ruins nestled on a bluff overlooking the turquoise waters create the perfect backdrop for this cultured escape. With days spent basking in the sun and exploring the lands, she revels in an utter lack of routine, losing track of time. Wandering this tropical savannah with the Spring 2017 collection at her fingertips, she has everything she needs as sunny days turn to balmy nights. Her suitcase is filled with a versatile mix of contemporary pieces that refuse to be defined by any single adjective. The landscape is beautiful—crashing waves, cool limestone walls, and the jungle not far off—but the focus is still on our muse, who embodies the tranquility of this surreal place, these clothes, and this moment. It will stay with her long after she packs her bags and moves onto her next destination, but for now, she’ll bask in this a little longer. Pass the coconut, please. See the full lookbook and shop La Playa Tranquila, here. See exclusive photos on Wolfcubcronicles.com.